I have found iScore to be very useful. I've scored over 60 games at the youth level using this app. It has taken time to master the features, but I can now run a shot chart for the coach (all 1200 misses) so the coach can highlight areas for improvement as well as strengths in a visual way. Also - the coach doesn't have to interpret my handwriting in a paper book. One suggestion - add a court layout for High School in addition to the existing college/pro. The layups on the shot chart look like they are behind the basket. This app claims to be intuitive, but it is far from it. I spent 20 minutes trying to figure how to add stats/results for a single player. Very confusing. I read the online guide and the faqs. Surprisingly there was no help for such a basic use case. It might be powerful, but it is useless if you can't figure it out. I tried a different app for $2 and it was up and running in minutes. When I click on a player and then click on steal or deflection it asks me to select a player from the other team. Huh? Was this app tested? The stats and format they do it in is worth the cost by itself. 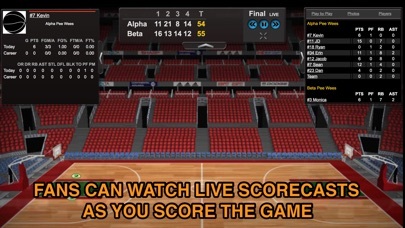 Great for taking stats after the game while watching the video but seems like you'd need a lot of practice before you would be able to do it live. I'm not sure exactly what constitutes a team turnover. Sometimes I feel like it misses some of the shot locations but that could just be overlap. If there was a way to see just made or just missed that would be nice. Keep the updates coming! Great app, but do have a question. How do I get or find the season stats? Good for the most part. I use Game mode with a partner to keep stats. Used it for two seasons now and they refuse to add a "Jump Ball" button. Many instances in a game where you have no options for the play that just took place or you have to back track to add the correct stats. Otherwise, I like it. It's the bast there is period. Once you get the swing of it, it's pretty simple to use. Broadcasting games can be iffy -- sometimes the stream stays stable; sometimes it doesn't. The app makers would probably blame that on the wireless connection at the event. I think the instability is pretty consistent, and I've used it for countless baseball and basketball games in many, many different venues and environments. If you are into wasting money and want to lose and easy $10, buy this app. More worth the money are Stat Crew (PC) or CyberSports (PC & iPad). Save your money and headaches for better occasions. I thought I would be able to add live game stats for the price of $9 but you can't do anything with this app..then they try to get u to buy 19 per month for just 1 team..not good user interface and I felt like I was deceived by the pictures in the preview.. Very upset. Easy to use. All the stats you want and more. Love it. 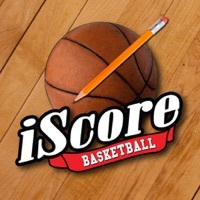 I use this to score my son's high school basketball games. The stat detail is tremendous, and the shot chart that you can use while scoring the game is fantastic. I could not recommend this app any higher. Too slow, clunky and limiting to keep up with the speed of a basketball game. 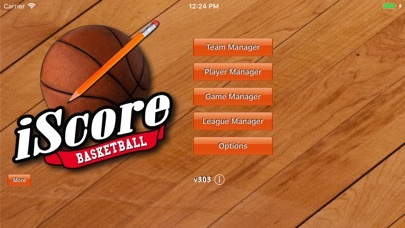 Will be sticking with Game Changer which just updated their basketball version. It's much easier and intuitive. I am very happy with this app. Great app! Highly recommend it to everyone! I used the baseball app earlier this year and liked it so much that I decided to give this one a try - glad I did. It's incredibly simple to use and doesn't take an advanced degree to figure out how to use it. In fact, I taught a 12-year old how to use it in a little more than an hour. The hardest part is getting the other team's lineup loaded. Well worth the money, especially if you go through at least one regular scorebook a year. 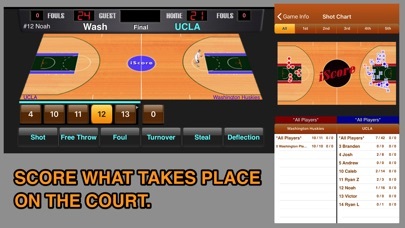 I sampled a number of different basketball stat apps before choosing this one. 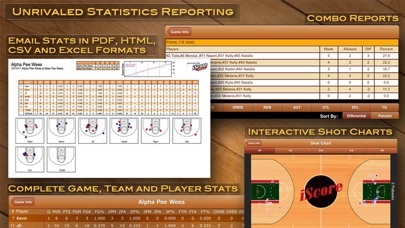 There is a simple design that makes stat collection quick and easy (very important for a fast paced sport like basketball), and generating reports is as simple as tapping a button. The depth of analysis from these stats is amazing. Also the sync feature allows parents and grandparent the ability to follow the game without being there. I like this app. Wish there was an instruction manual for it. So looking forward to the season so I can finally try it out during my son's game. Use it every weekend. Have recommended it to many of my friends. My son loves to review the stats post game. I used another app prior to the purchase of this one. This one crashed that one on day one. I especially love the average. Great app, and great support. My issues and suggestions have been responded to within minutes. A few minor enhancements and this will be awesome! True that it will take a few games to get used to it. Tough to keep up with player subs. Great program. The company does a nice job updating. This is just too complicated and not intuitive. I love this app. We keep all the stats for our rec league and players are happy to see their accurate stats. Minor suggestions: If we could somehow see the team logo on the app (i found that you can upload one through the iscore server online but couldnt see it on the app) And also if you could add more stats to the team stats per game (not just limited to ppg, rpg, apg, spg, and bpg) like minutes per game, fg%, makes, attempts and also turnovers pg. Other than that, this is worth the purchase. Best investment ever for our rec league. Keep it up! Very good. Exactly what you need to score bball easily! Love everything about this app! It is great to have everything in your hand during the game. Also, not having to enter any stats into the computer after a game saves a lot of time. Highly recommend this app to anyone wanting to stat games! I would recommend to anyone wanting to take very accurate stats and have it processed into instant usable info for coaches and fans a like. I coach and also keep stats for our AAU team and for our high school team. This is my 2nd year using this for church league ball, and it works great! I keep losing data and the screen keeps going black or white. Had to delete the whole program once already!!!! !